Landofhopeandglory whose the ante post favourite for the Grade 1 Triumph Hurdle at Cheltenham in March can take another step towards that title in the Grade 3 Bar one racing juvenile hurdle at Fairyhouse on Sunday. This is a big step up in Class, he could be joined by his stable mates Big Ben, Lord Justice and Zig Zag in the race. Joseph was delighted with Edwulf’s run at Navan on Sunday. It was a very competitive race especially with Min in the mix. Finishing second was probably as good as we could have hoped for. He missed the third last which probably did cost us second place but in general jumped well and he ran a good race. He remains a horse that we look forward to. I’m excited to see what he produces in the future. In Beginners Chases at this time of year, you’re always going to run into big names and to be honest, you’re not going to do anything to a horse like Min in too many of them but it was still great to see him in the race and run so comfortably. Hopefully he’ll be out again in the next few weeks. Min did what most people expected. You couldn’t really fault him. He jumped very well and never looked in doubt. He never once looked like he was going to be stretched or put under too much pressure. If he even settled a shade better than what he used to settle over hurdles, you’d imagine he’ll be among the best two mile novices here in Ireland. 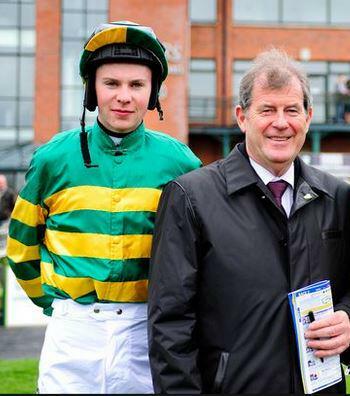 Gordon Elliott’s six-timer at Navan on Sunday was an incredible achievement. He’s put a great team of people and horses together and it was absolutely something else for him to have the day that he did! It’s well deserved and it doesn’t come as a huge surprise to anyone. Logistically, it takes huge organising when you’ve a lot of runners at a meeting. He had 27 runners at Navan yesterday; it’s a serious amount of work and his team are a credit to him. He’s made big strides in such a short space of time and it certainly didn’t happen by accident. Thistlecrack was very good at Newbury on Friday and similar to Min, he did what you’d expect him to do so no major shock there. At the same time though, they have to go and do it and you really couldn’t be happier for his connections so far. He was brave at Cheltenham and took a few risks but he looked to have learned from that on Friday. Colin Tizzard is in a great position; he has some good horses and they’ll probably end up taking each other on at some stage. Hopefully they all stay sound and can be in a position to take each other on. It’s a good problem to have in some ways! Native River was great in the Hennessy. He’s a good horse who jumps and stays. Richard Johnson gave him a great ride and he’s a horse who looks like he’s really improving. He suits Richard but at the end of the day, he can ride any horse. He’s the champion jockey and a great rider. 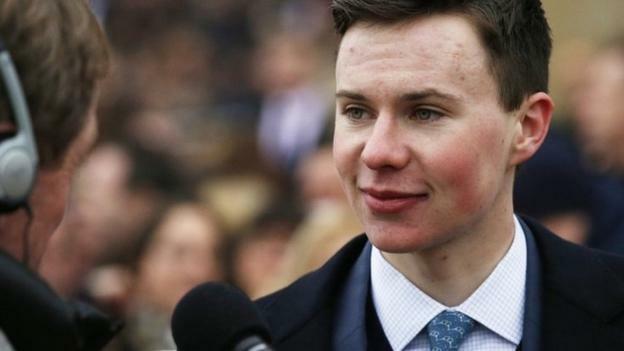 At 23, and already finished one career as champion jockey, Aidan ’s eldest has officially been a trainer for five months and already in the bag are coveted Group/Grade 1 prizes on the flat and over jumps. With his mother Annemarie having bred Intricately, and the filly being ridden by his teenage brother Donnacha, not to mention how two fillies trained by his legendary father were vanquished, that Moyglare victory was one of the stories of “Irish Champions Weekend” in September. There was also no doubt about who was responsible. Ivanovich Gorbatov’s Triumph Hurdle at Cheltenham in March will officially go down in history as having been trained by Aidan since Joseph's licence hadn’t been officially processed in time. In a sport consumed by speed, no one seems in a fiercer hurry than the still whip-thin and intense figure roped in by Leopardstown on Monday to help promote their upcoming €1.3 million Christmas festival and provide a dash of colour. That the colour for a corralled bus full of media types perched on the side of a freezing south Kilkenny hill turned out to be freezing blue was hardly a shock given it’s only a month to Christmas. Nor can it have been a surprise that Joseph trod warily around us. Always professional and polite, there is nevertheless plenty of his father in how any public utterance is carefully gelded of any potential controversy. And since it’s hardly his job to provide colour on cue, it was left to the cold hill of Carriganog to fill in. That it is the most famous racing hill in Ireland certainly helped warm a few cockles. It was here from unpromising beginnings that Joe Crowley carved out the start of a racing dynasty. His daughter Annemarie briefly took over before her new husband Aidan took over the licence and trained with such success “up the hill” that John Magnier came a wooing for the ultimate training job in Ballydoyle. It’s almost 20 years since Aidan stopped the 45-minute commute between the two establishments. In that time the gallops in Ownings were used by other local trainers. But long before Joseph inevitably lost his battle with weight there was no question about a third generation returning home. It’s a dream set-up for any trainer, never mind someone starting out and still only 23. Maybe the only valid comparison is with Vincent O’Brien’s son David, who briefly swept all before him in the early 1980s before retiring early due to the pressures of the job. That seems an unlikely scenario for someone who whittled his six-foot frame down to under nine stone for so long. 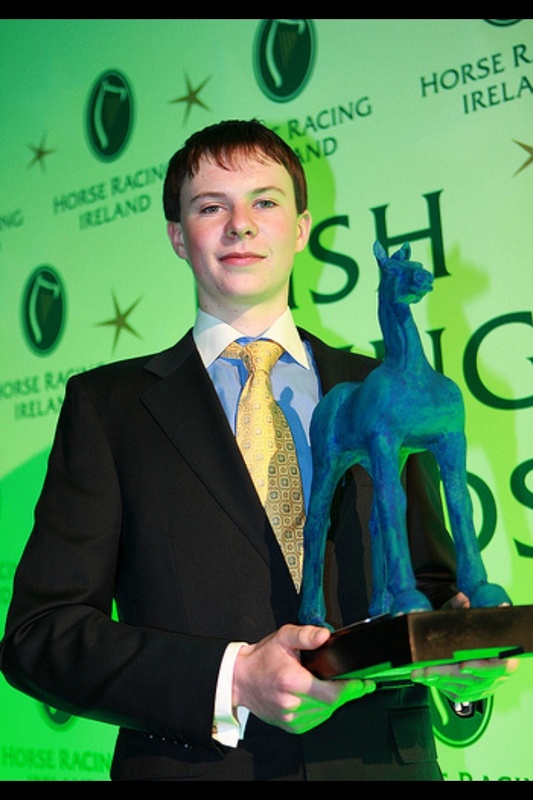 And it is perhaps the mystique of Ballydoyle that contributes towards similarly regular speculation about what this remarkably successful young man can ultimately achieve. Believe racing’s grapevine and he’s in line to take over from his father at the world’s most powerful bloodstock operation sooner rather than later. That there’s often jealousy contained in such whispers is as inevitable as the reality that Joseph is hardly in a position to change his pedigree. Besides, the grapevine looks off given the facilities being added all the time at Ownings. “We have 120 horses here, half and half between flat and jumps and I’d like to keep it that way if possible,” Joseph said before hurrying off to examine horses schooling and leaving the hack pack to his uncle-in-law, the jockeys’ agent and racing channel presenter Kevin O’Ryan. Comparisons to his father are for life, especially now that he has gone down the training route, a craft at which Aidan is unquestionably the most successful in the world. The resonances of that have been a constant for his son in many positive ways. For instance, consider the batch of cast-off Ballydoyle three-year-olds purchased by JP McManus to go jumping which would form the basis of most flat operations anywhere else. Landofhopeandglory has already won twice over flights and Sword Fighter and Bhutan in particular are others to note. Joseph is already being quoted as favourite to win the Triumph again in March. By then, more than 40 two-year-olds, double last year’s tally, will be revving up for the flat as well. It’s enough probably to make his opposition’s Christmas feel a lot less merry, and lot more blue. As the ultra-chilly wind was getting the better of his visitors at yesterday's Leopardstown Christmas Festival launch at the yard of Joseph O'Brien, it was difficult not to feel the weight of history. Joseph is back where it all began. He was born here in an area that is in Co Kilkenny but close to the borders with both Tipperary and Waterford, a place called Owning. It was here that his father Aidan revolutionised training before moving to Ballydoyle. Aidan revised and Joseph now uses the same strip of gallop, the famous hill, that Joe Crowley - whose, daughter Annemarie is Joseph's mother - built from scratch. The hill, which is as impressive as the beautiful scenery around, is central to the young trainer's regime. Joseph said "It's a hill that has produced so many winners for so many years, I only can hope that I do not make a balls of it." Kevin O'Ryan, the former rider's uncle-in-law, told reporters of working bumper horses on the hill: "If they got to the top still on the bridle, you'd know they were a certainty next time." Asked, beyond winners, what his ambitions were, Joseph replied: "Not going out of business." With the patronage of JP McManus, Gigginstown and others, as well as his pedigree to train, that seems rather unlikely. McManus recently sourced 11 three-year-olds from Aidan which were to go jumping with Joseph. Bookmakers make him just 7/4 to win the JCB Triumph Hurdle, with Landofhopeandglory already two from two jumping. The young trainer envisages having many of the 11 appearing at or after Christmas, with Triumph and Fred Winter candidates to emerge. Joseph said: "I don't know how many more of them we'll see this side of Christmas. The worst-case scenario is some won't win this season and be nice novices next season. Some of them have been in only light work. You'd like to think there'll be Triumph Hurdle and Fred Winter horses. Landofhopeandglory will likely to go to Leopardstown at Christmas and may go to Fairyhouse first." His father, Joseph said, "is always only the other end of the phone," while he revealed that he rides out only once a week nowadays, a product of his burgeoning string - he now has around 120 stables. One of his assistants noted that early yesterday morning, the young trainer spotted among a scatter of horses that one did not have his correct bridle on. "His attention to detail is pretty amazing," he added. Joseph intends to be roughly 50-50 Flat and jumps and he does not believe that one handicaps the other. He will have around 40 juveniles on the Flat next year. "I lie if I say I don't want to be a champion trainer but I don't see any reason why we can't compete at the top level in both codes," Joseph said. What a weekend at Punchestown. I was very pleased with Landofhopeandglory in the first race on Saturday. He’s now two from two over hurdles and came out of the race well. He jumped fairly well. Frank Berry and JP McManus are all delighted too obviously. There’s a chance he might go to Fairyhouse in a couple of weeks. I’m not 100% sure of that yet but I’m thinking the target is the Winter Festival at Fairyhouse and then maybe Leopardstown after that. It will be decided closer to the end of this week or early next week. You have to remember that he’s had two relatively easy races so I have to keep that in mind. It will be a case of taking on the better opposition and seeing where I stand then. On Sunday, due to the fog it was very hard at times to see Ivanovich Gorbatov’s run where he finished third but Davy was very happy with him and he said he finished out the race well. He reckons that he has come on a bit too so we’re delighted with that. The Hattons Grace is an option for him next and then Leopardstown at Christmas too. We’ll see how he is during the week and go from there. It can be hard for Triumph Hurdle winners to do well in the top Grade 1 races so it’s hard to know if he’ll just be a top Grade 2 horse in time. Racing wise he has a huge gap to fill, probably a stone or a bit less. As the year progresses, we will find out where he slots in best. I thought Coneygree ran a blinder at Haydock after such a long layoff. Cue Card was very good also. They’re two nice horses. Apparently Coneygree might head to Leopardstown which would be very exciting. The track would really suit him. It would be excellent to have a horse of his standard coming over to Ireland to take on the Irish horses. I thought Identity Thief ran well over the weekend, a nice start over fences. A Toi Phil was also very good as was Yanworth at Ascot. It’s such an exciting time of year with some top class horses in action. I’m really looking forward to Leopardstown. It’s great racing and is a horse’s first real test of the winter. A lot of horses turn up there with the dream still alive. Along The Shore runs in the Maiden Hurdle at Wexford, her first run over hurdles after finishing second at Gowran Park in October. She stays well and jumps particularly well. I hope she runs a nice race but it does look competitive. She’s schooled over fences and we’ll learn plenty tomorrow. A first cousin of mine, JJ Slevin, is booked for the ride and is in great form at the moment. He’s a great rider and has a lot of experience. On a parting note, I was absolutely thrilled for Madeleine Tylicki yesterday on her first win as a trainer with First To Boogie at Punchestown. Myself and Madeleine did the trainers course together. She’s a great girl and hopefully that’s the first of many wins for her. Joseph has high hopes that Landofhopeandglory can land the JCB Triumph Hurdle in March so the trainer can celebrate the victory in his own name. Ivanovich Gorbatov won the juvenile championship at last season's Cheltenham Festival, but as Joseph had not yet completed his training modules the horse ran under his father Aidan's name. Now a fully-fledged trainer in his own right and with a Group One win on the Flat with Intricately to his name, he has a growing stable of former classy performers from the flat with which to target the big winter prizes. Landofhopeandglory, second in the Curragh Cup in June, has won his first two starts over hurdles impressively. Joseph said "I'm not 100 per cent sure, but he may go for the Grade Three in Fairyhouse the Bar One Racing Juvenile Hurdle, on December 4th, he's come out of the race well from Saturday, All being well we hope he will be a Triumph Hurdle horse, but a lot can happen between now and then." Things have not quite gone to plan for Ivanovich Gorbatov since his big win but he did show more promise when third to Nichols Canyon in the Morgiana Hurdle on Sunday. Joseph said "I was expecting him to tire on his first run at Naas and I was happy with his run yesterday. Davy (Russell) felt he could have been second if he'd had another furlong, The Hatton's Grace is an option and he will pitch up in all the big ones." Joseph, who was speaking at the launch of Leopardstown's Christmas Festival, reflected on his recent switch from multiple Group One-winning rider to the training ranks. He said: "I probably prefer training to riding, and it is something I always wanted to do. Starting training happened a bit quicker than I expected, but I have been born into the environment, and it is a way of life as much as anything else. When you are riding you only really get on the horse in the race and a lot of it is instinctive. A trainer can ruin any horse, but you do get a greater kick out of it. I never really set targets when I was riding, and it is the same as a trainer - you just do the best you can with each horse. My weight went up to 11st, but it is coming back slowly now. I don't really ride out any more, maybe the odd Sunday. We have about 30 horses riding out in each lot and it's not really possible to ride out and still see what's going on." Joseph said another high-profile Flat recruit, Housesofparliament, "may start" over hurdles at Christmas. He added: " Exactoris is a nice horse who has won his bumpers and a hurdle, and he could run at Christmas in a novice hurdle." Joseph will have plenty of horses to run in bumpers in the coming months and said: "I don't really like picking out ones in particular, but a nice one is Aeglos. He is a very nice bumper horse." Landofhopeandglory remained unbeaten over hurdles when taking the Luna Bar Supporting Cavan GAA 3-y-o Hurdle with the minimum of fuss at Punchestown. Mark Walsh was in the plate on the Group 2 placed Flat racer, and he followed up his maiden win over flights, from Fairyhouse on November 7th, seeing off his Joseph's trained stable companion Zig Zag by a convincing four lengths. "He travelled well and, like the last day, his jumping got better as the race went on. He was left in front turning in which wasn't ideal but that's just the way the race worked out," said Joseph "We'll see how he comes out of this race before deciding if he goes to Fairyhouse for the Grade 3. He came out of his last race well so it's an option. JP and Frank Berry, both felt the extra experience today would do him good. Big Ben who was second to Landofhopeandglory at Fairyhouse could go to Gowran Park next weekend. Paddy Power go 10/1 from 12/1 about Landofhopeandglory for the Triumph Hurdle. 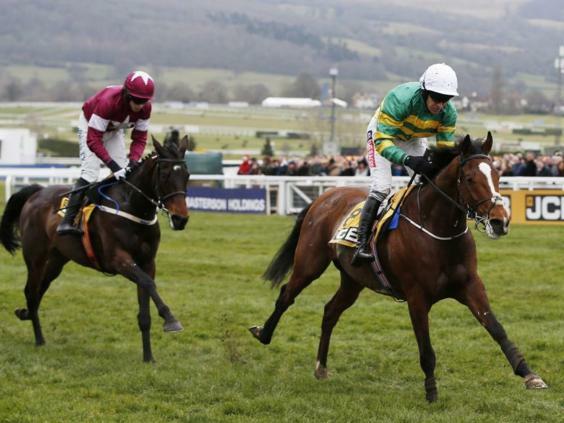 Joseph is 7/4 (unchanged) to win the same event at the Cheltenham festival. Joseph said "It was another busy weekend on the track and Slowmotion ran a great race on Saturday at Naas in the Fishery Lane Hurdle. It was her first start of the year so it was nice to get her under way and it was good start too. We’ll discuss things during the week about what to do next with her and hopefully she has a good season." "Another of my hopes for the weekend Valgor Du Ronceray ran a great race to finish second to Willie Mullins’ Saturnas at Naas and Willie’s horse was very impressive. He travelled so well and looks like an exciting prospect for the season ahead. As for mine… I think Wednesday’s action will come a bit too soon to send him out again even though he came out of the race well. He’s been off the track for a couple of years so we’re happy to give him a little more time." "Another eye-catcher over the weekend was Anibale Fly who jumped well while winning in the JP McManus colours at Navan. He was a good hurdler and won nice and snug on Sunday, it looks like he could make a good chaser too." "JP has some great horses to go to war with, one being Landofhopeandglory who led home a one-two for me at Fairyhouse last weekend. Both he and Big Ben seem to have come out of the race well and we may see one of them back in action at Punchestown at the weekend. I’d like to think that Big Ben is a future winner, he jumped well in his first run over hurdles so hopefully he can make the step up." "I watched some of the Cheltenham action at the weekend. Thistlecrack was impressive; he was some hurdler and now it really looks like he could be anything. He looks as though he’s taking to the fences very well. It’s a huge step up into the company he’ll be facing in the likes of the Gold Cup so I couldn’t say he justifies such a short price right now, but that’s happens with the best horses." "Speaking of the best horses, we’ve lost a couple recently and I must send my sympathies to connections of Vautour and Simonsig. Neither horses deserve such a fate and horses like that are very hard to replace no matter what other horses you have at the yard. Sprinter Sacre is another we won’t see much of again having been retired but he was a great horse and at least was able to go out on a high." "The Morgiana Hurdle lies in wait this Sunday at Punchestown and I don’t know if Ivanovich Gorbatov will come back out yet or not. We will take a look at the opposition and the ground and make a decision later in the week." "I’ll have a couple of horses running at Dundalk this Friday. Walk The Line is one who could be future winner after finishing third in his first run in a handicap and he’ll be back in again this Friday. It may be a bit more difficult for him this time round as he’s taking on older horses but there’s no reason why he won’t be competitive and I’ll be hoping he’ll be placed." Pre-race many thought the DKIT Students Union Race Night (C & G) Maiden (Plus 10 Race) might chiefly boil down to Rock In Peace (13/8) and Liberatio (6/4 favourite). 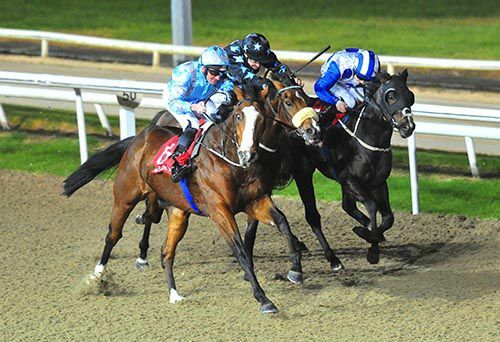 However, it was Druids Cross (8/1) that stole the show in the second event at Dundalk. Rock In Peace and Liberatio duelled it out up front but on his third start the Annus Mirabilis Syndicate-owned and Joseph O'Brien-trained Druids Cross came home best to gain the day by a length and a quarter. Seamie Heffernan did the steering on the successful Cape Cross colt and he disclosed: "Joseph liked him and felt the two runs and sounder surface would stand to him." He concluded: "He was green but finished out well." "I scored one-two in the Maiden Hurdle at Fairyhouse on Monday and it goes without saying that I was very pleased. Both horses jumped well but Landofhopeandglory won nicely. We knew he was a good horse over the flat so it was nice to see him make the transition.Making that transition to the obstacles varies between horses. For some it all comes very natural to them and they take to it very quickly, for others it requires a bit more work – each horse requires its own individual workload." "Landofhopeandglory took to it well and looking forward in the short term at least there’s a winners race at Punchestown and a Grade Three back at Fairyhouse so I’d imagine he’d go to one of them if not both. We won’t look at any plans further ahead until that is out of the way. There’s a few more to come in the coming weeks but it’s nice to have this fella started off so well. Big Ben ran a lovely race in second too." "Ivanovich Gorbatov was beaten at Naas at the weekend but had travelled and jumped well. He had got into the race lovely before the 2nd last jump. He got us a third but it’s early days in a long season so we’ll wait and see how he comes out of it and then we’ll decide where to go next with him." "Intricately couldn’t oblige in the Breeders’ Cup last Friday and I felt the track was a bit too sharp and things happened too quickly for her. We were a little concerned about that before the race but it was still great to be over there with a chance and get the experience. She’s still an exciting filly to look forward to next year and the Guineas route is a possibility. And Please God we’ll have another horse that we can try again with one day!" 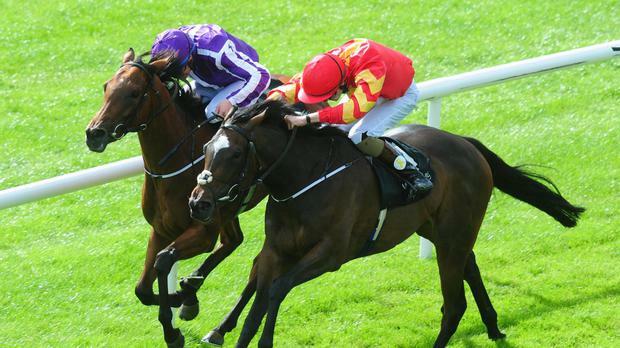 "It was a great day on Saturday when Highland Reel won the Turf. 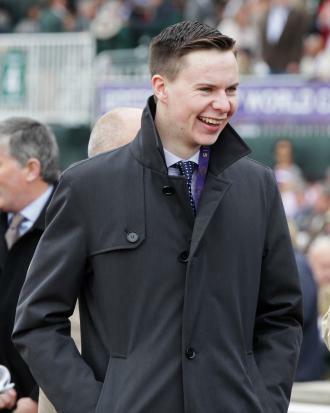 Seamie Heffernen gave him a great ride and I’m over the moon for him because he’s been at Ballydoyle a good while and nobody works harder than him." "Found was back in third and that’s possibly the last we’ll see of her. She must be close to if not the highest earning mare of all time after the Breeders’ Cup. I know my Dad has said she’s the most genuine mare he’s worked with and I guess it’s hard to find anything like her. The win at the Arc this year will always be a memory we can cherish." Landofhopeandglory was an impressive winner of the Racing On New Years Day 3yo Maiden Hurdle. A classy performer on the level, the Joseph trained gelding was making his debut over flights this afternoon, and he was sent off the clear 10/11 favourite. Having raced mainly in fourth he took closer order from three out, and cruised through to lead before the last. He never came off the bridle, and was eased down close home, with a length and a half the winning margin. Stable mate Big Ben came through to take second under Mark Walsh. Frank Berry said afterwards: "We're delighted with him. He was a bit novicey at a few and should learn a good bit. You could only be pleased. We were delighted with the second also owned by JP and he'll come on from the run and learn a little bit. It probably wasn't the strongest race and you wouldn't want to get carried away but you can only be delighted. We'll take him home and see how he comes out of the race. That's the first two that we have ready to run and there are a few more to come although they haven't been off the ground yet so we'll see what happens down the road." Paddy Power make Landofhopeandglory the 12/1 favourite (from 16's) for the Triumph Hurdle, while Joseph is now just 2/1 (from 5/2) to train the winner of the race. Boylesports have introduced Landofhopeandglory at 16/1 for Triumph Hurdle. Joseph was recently quoted at about the 5-2 mark to train the winner of next year's Triumph Hurdle and two of his charges who could go down that road, Big Ben and Landofhopeandglory, begin over flights in the Racing On New Years Day 3-Y-O Maiden Hurdle at Fairyhouse. 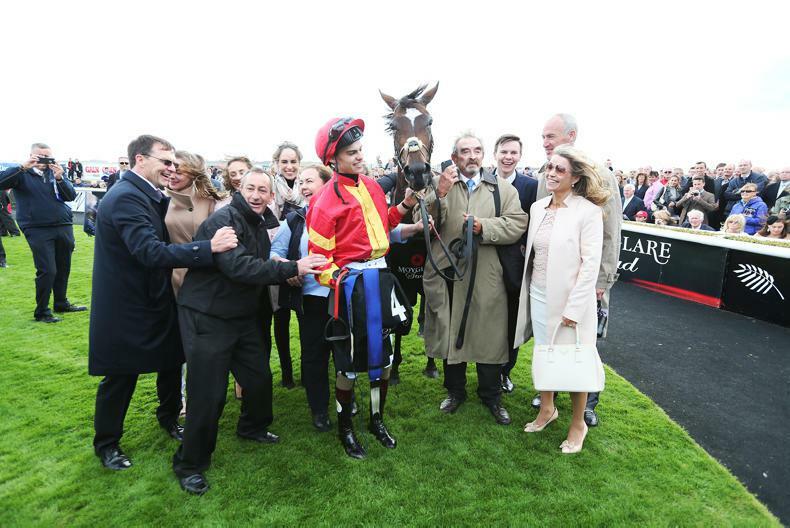 Talk of another Joseph bid on the Triumph, after Ivanovich Gorbatov's win when officially in the care of Joseph's father Aidan last season, came after the revelation that several Ballydoyle three-year-olds are to go jumping for owner JP McManus. McManus' retained rider Barry Geraghty will partner Landofhopeandglory, and the High Chaparral gelding is an exciting prospect given the level of ability he showed on the Flat. Indeed the last time he was seen out, Landofhopeandglory ran down the field in the German Derby and, prior to that, finished second to his stable companion Sword Fighter in the Group Two Curragh Cup in June. Big Ben is a half-brother to Attraction and he looked to have a nice bit of ability himself, despite his greenness, when winning a maiden at the Curragh in August. Mark Walsh will get the leg-up on the son of Galileo. 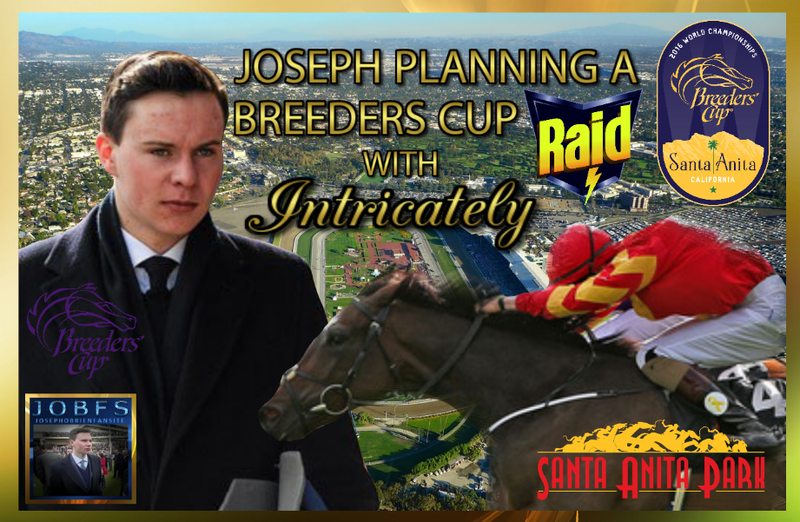 Joseph,in his first season as a trainer, will be bidding to exchange one record for another when he saddles Intricately for the Grade 1 Juvenile Fillies Turf at Santa Anita on Friday (10.50 GMT) in a race where she faces 15 rivals . As things stand,he currently holds the record as the youngest rider to win a Breeders’ Cup race which he did when he was 18 when he won the 2011 Turf on St Nicholas Abbey, but he will lose that record to Donnacha if Intricately can win for him. If they succeed, at only 23, Joseph would become the youngest trainer to win a Breeders' Cup race the youngest to win is currently 27. Donnacha, who like Joseph won the apprentice title in Ireland, is also 18 but his birthday is a couple of months later. in order to make history on Friday they will have to beat their father, Aidan, who saddles two Roly Poly & Hydrangea against Intricately. Intricately the Fasnet Rock filly, was straining to leave the confines of the quarantine barn, when she was taken out to the main track for her breeze. She proved quite a handful, at one point Annemarie had to lead her through the gap. Intricately faces a rematch with Hydrangea, the filly she beat by a short head when landing the Group 1 Moyglare Stud stakes in September. Asked about the tantalising prospect of making history once more, Joseph said: "That would be seriously frightening, but we can dream it will happen. My first Group One with this filly in the Moyglare was very special and I wasn't totally surprised, because she had finished very close behind her rivals in her prep and Donnacha said she’d get closer again if he made more use of her. But obviously I never dreamt I might have a filly like this in my first year, and it was an unbelievable day.I'm delighted by the way she has travelled over here and her work on the track has been good. It's a completely different task and, until the day, I'm not sure how much it will play to her strengths. I'm not worried about the ground, that will be fine, but I am concerned about the tightness of the track. It could be a problem, but let's hope not." Intricately currently 5/1 with Paddy Power. 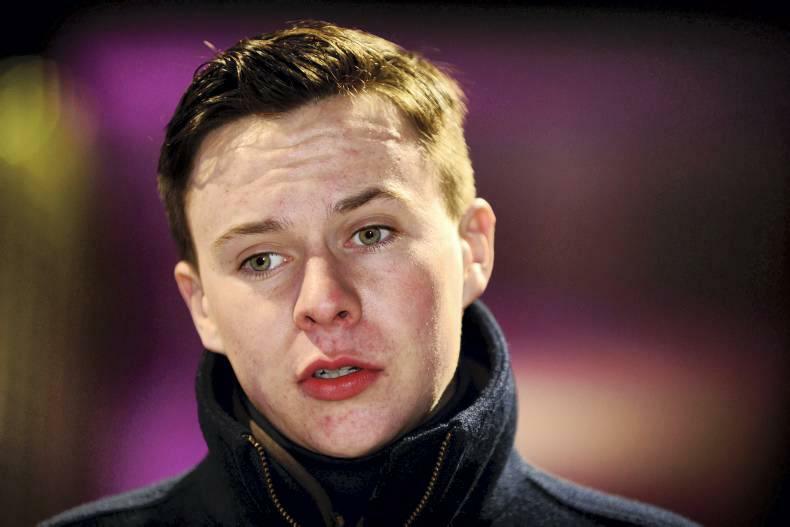 Joseph O'Brien Has been sent a battalion of former Ballydoyle Residents who have been recently purchased by J P McManus. Classy St Leger placed Housesofparliament is bound to be a major contender of the Triumph Hurdle at Cheltenham in March as will be The Major General who was runner up in the group 3 Gordon Stakes at Glorious Goodwood. The biggest surprise would have to be Group 2 winner Sword Fighter who won the Curragh Cup & Queens Vase at Royal Ascot 2016 he would have to be regarded as a very exciting staying hurdler. Group 2 placed Landofhopeandglory who ran disappointingly in the German Derby will be another exciting addition to Joseph's team. Cook Islands ran in 2 Derby trials finishing 4th in the Ballysax and 5th in the Dee Stakes and was always well regarded. The remainder of the 11 will be made up by race winners Triplicate. Big Ben, Unicorn, and Immortal Bridge. The final team member will be Bhutan who was unbeaten on the flat he suffered an injury after his debut win in early April he never got back to the track but really could be anything. As you would agree the 11 horse squad heading to Owning Hill are all exciting prospects and bolster an already talented squad of horses at Joseph's disposal. The next clash between Apple’s Jade and Ivanovich Gorbatov looks on, with the four-year-olds ready to get their seasons under way at Down Royal on Friday in the Grade 2 WKD Hurdle at 1.50. The pair met up at Cheltenham with Ivanovich Gorbatov gaining a length-and-a-quarter victory in the Triumph Hurdle before being beaten by Apple’s Jade in the 4-Y-O Anniversary Juvenile Hurdle at Aintree. The filly then inflicted a second defeat on her big rival when scoring at Punchestown three weeks later. The pair will come up against the consistent Footpad who chased them home at Cheltenham back in 3rd and who fell at next time out at Aintree but she has won two races since. 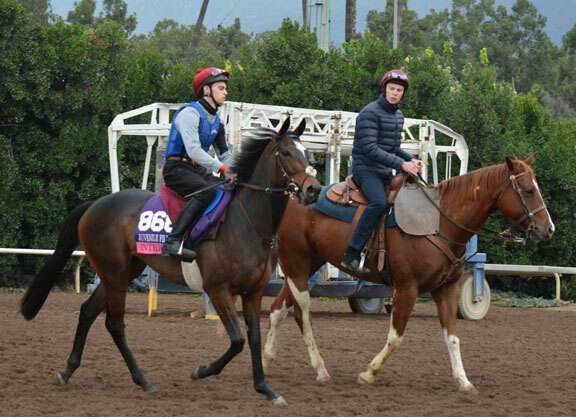 Joseph is currently in America ahead of the breeders' cup and preparations are well under way. Intricately runs on Friday 4th November in the Juvenile fillies turf and seems in good form. Joseph said " she travelled over well and hasn't done a lot since, we hope she gets to the race in one piece. You can never really envisage that a horse can reach the sort of level she has reached. You know sometimes you have a horse with potential and you can only hope they improve as the year goes on and that has happened with Intricately. You would imagine she should get better with time. She heads into a very competitive race on Friday and there looks to be some great fillies up against her, most of the best around to be honest, so we will keep our fingers crossed for a good run. " "He was crowned champion apprentice and has also been rewarded for his hard work this year. he got some nice rides, but he made the most of them so he deserves it. He works very hard at his riding and at his weight as he is going to be a big man, Intricately at 8st. 10lbs at the Breeders' Cup would be the minimum for him by a long way but he works hard at it and I'm sure he will last as long as he can. I'm glad to have him on my side. The Fastnet Rock filly was cut to 4-1 joint-favourite from 9-2 by Coral to land the race for Joseph and his younger brother Donnacha who is hoping to follow in Joseph's footsteps in winning a Breeders' Cup race at 18.